Enjoy your morning brew with this marvelous Maine Moose! Holds approximately 15 liquid ounces. 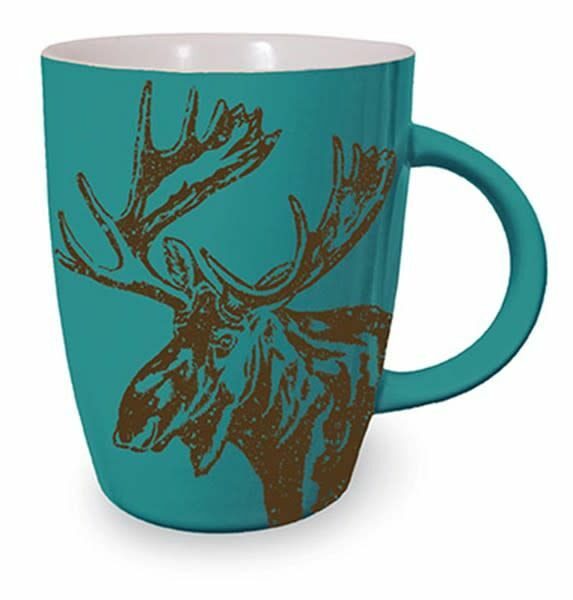 Features a woodland moose print over a bold teal background.